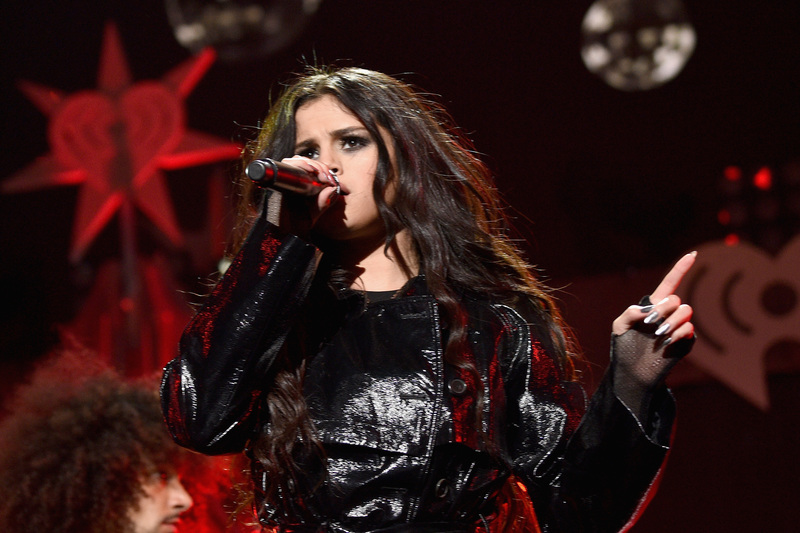 Selena Gomez wants you to know she’s over Justin Bieber. During the Fresno, California, stop of her ‘Revival Tour’ Sunday night, Selena Gomez made it clear she and the Biebs have no future. Gomez summoned a fan forward who was holding a ‘MARRY JUSTIN PLEASE’ sign, crumpled it up, and threw it back into the crowd like a piece of trash. Definitely no love there. She didn’t mention anything after. I got my paper back though. It wasn’t meant to be mean. I love Selena and Justin, and love them together as well. It was the second to the last song that it happened. She put on a great show though. Selena and Justin – or ‘Jelena’ to people who care – have had a complicated, on-again-off again relationship since the two were teens back in 2011. Clearly, fans aren’t over the relationship. Considering the throwback Instagram Justin posted of the two kissing – which is now the most liked photo on Instagram – we can probably see why fans of the couple are pretty confused. But Selena wants you all to know that there is no future there, thank you very much. And crumpling up a sign of their love like a piece of useless trash is definitely a good way to show it. Way to go, Selena.